For some reason, I have never seen Peach Pie on a menu in a restaurant. I have never seen it at a potluck, picnic, or barbeque. And none of the cookbooks in my extensive collection has a recipe for it. Apple pie? Yes. Key Lime Pie? Yes. Lemon Meringue Pie? Sometimes. But Peach Pie? Never! I can’t think of a more quintessential summer dessert. I grew up eating Peach Pie every summer. 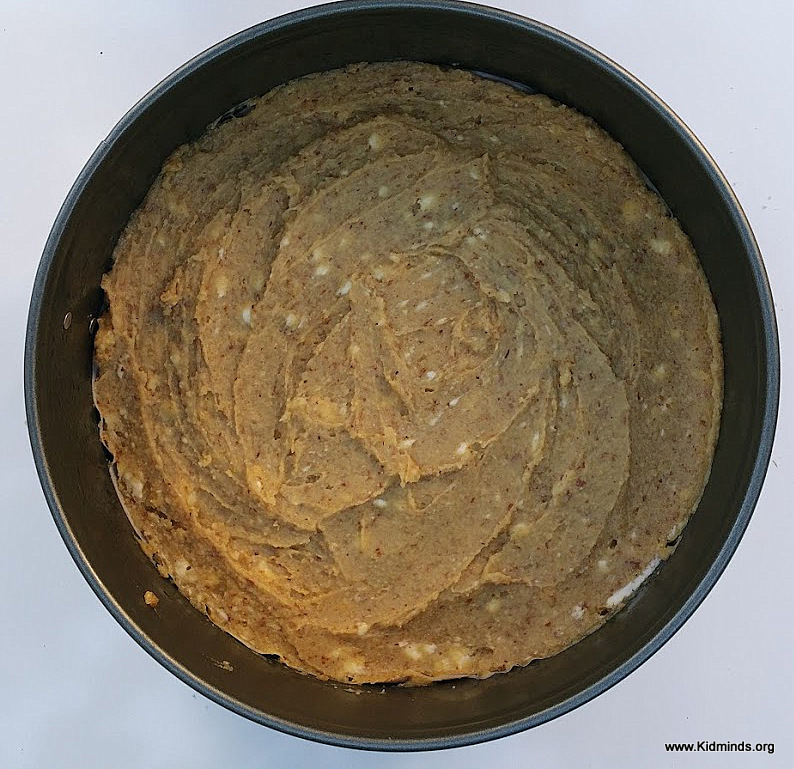 I “improved” my grandma’s recipe by making it gluten-free. I should say that I don’t have the actual recipe my grandma used (and I doubt she has one), but I went along with what I felt would get the results I need. I tweaked the recipe a couple of times and the final product is very close to how I remember it tasted. How should it taste? Like a whiff of a summer breeze. If you want to be a star of a potluck gathering, bring this pie! I guarantee that there would be no end of “OOOhhh…”s and “Aaaahhh….”s! 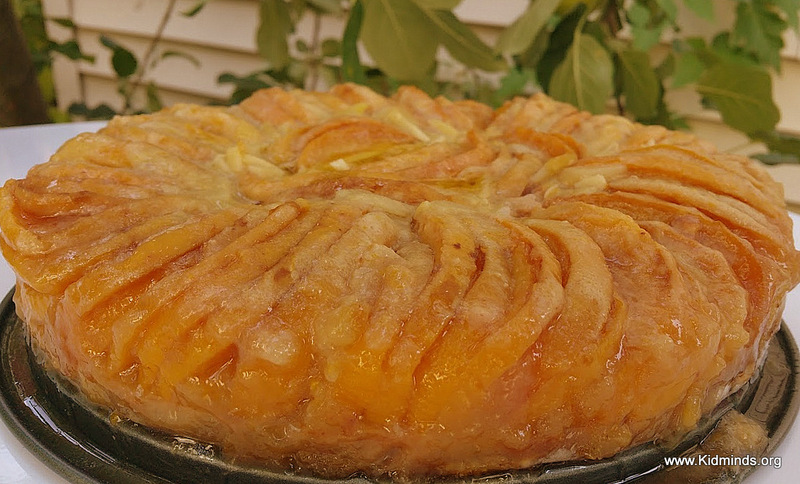 The only good season for a Peach Pie is summer. Peaches taste better in the summer because that’s when they grow. 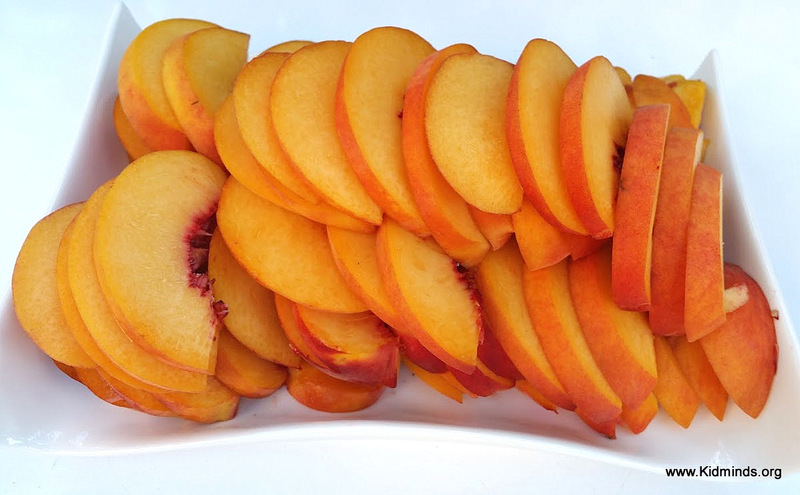 Did you notice that the most delicious peaches are the ones that have never been refrigerated? Ever wondered why? Plant scientists classify peaches, as well as tomatoes, apples, pears and bananas, as climacteric fruits. Climacteric fruits continue to use its DNA to synthesize the flavor compounds and aromas even after they are peaked, which means their flavor and sweetness is increasing during storage time. Once you stick your peach or tomato in a refrigerator however, you disrupt the systems involved in orchestrating fruit ripening and that’s how you end up with tasteless fruit. Non-climacteric fruits like citrus fruits, grapes and strawberries don’t improve much after they are picked. I consider myself a peach connoisseur, which means I don’t buy peaches off season and I never store my peaches in a fridge. So what do you do, if you have a wonderful loot of ripe peaches that you don’t want to stick in a fridge? 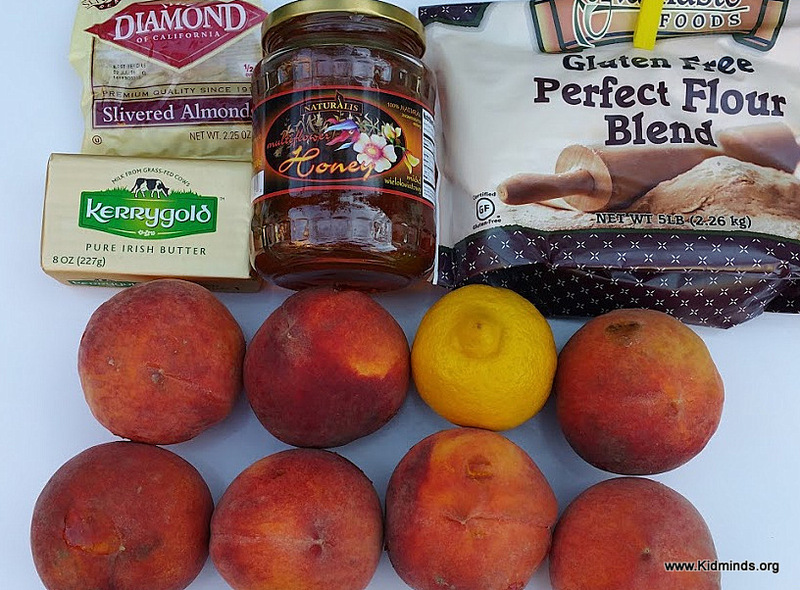 Make this healthy Peach Pie! 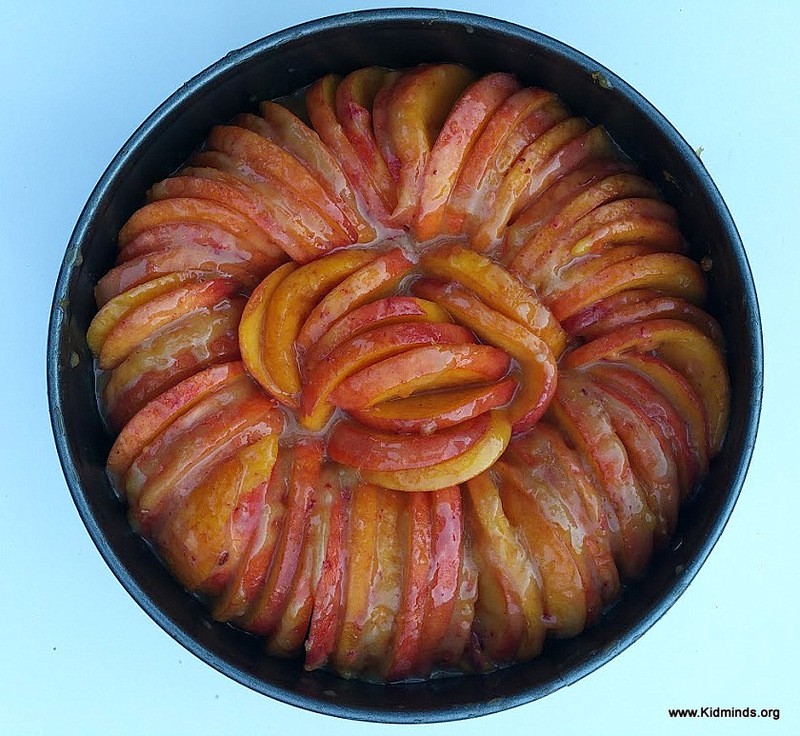 Made with a gluten-free crust, 7 ripe peaches and a delicious mascarpone topping it’s one of the best pies I ever had! 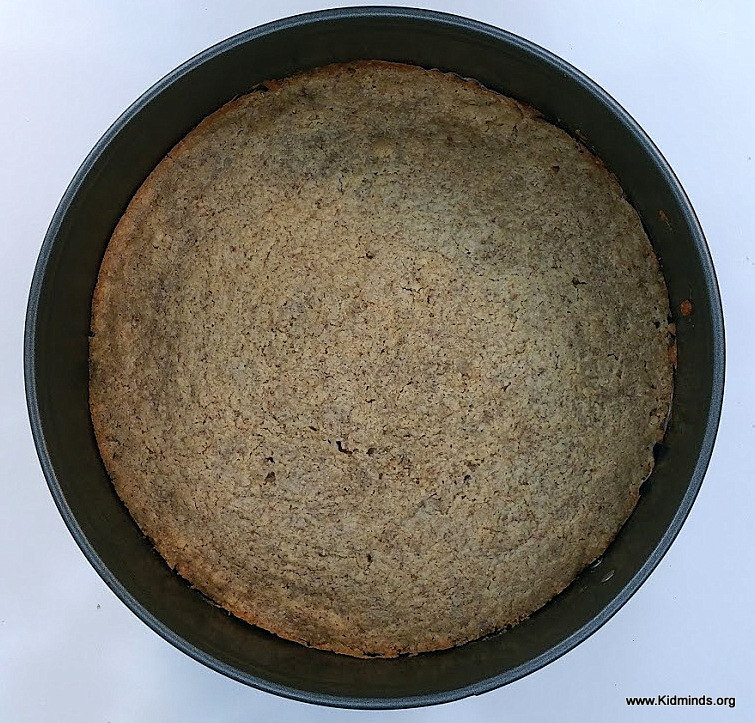 I told you recently that I accidentally discovered a perfect gluten-free crust and it’s the only gluten-free crust you will ever need. Well, I couldn’t resist changing it a bit to see what would happen. You know what happened? I discovered one more crust that I like. Feel free to use either one with this recipe. I think the egg version here is a bit easier to spread in a pan. 1. Preheat oven to 350F. 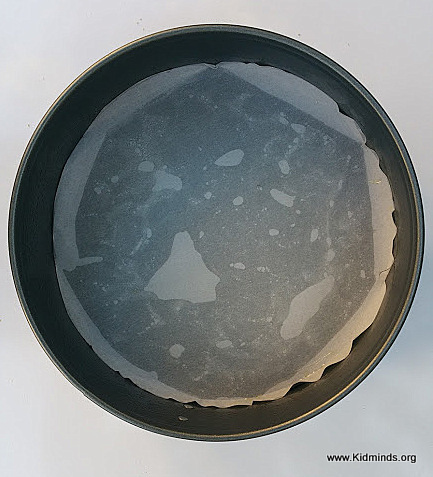 I like to spray the inside of my pan with oil spray and lay it with parchment paper. When you use parchment paper you don’t have to worry about anything sticking and transferring the pie to a serving plate is easy. 2. 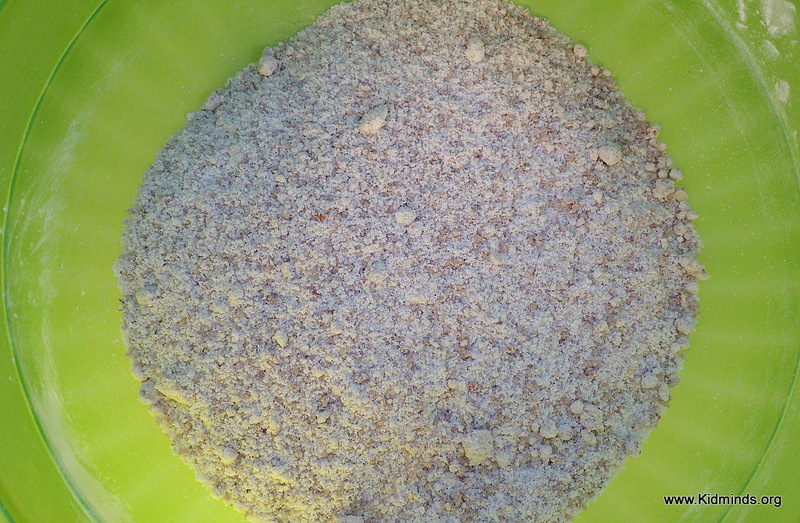 Stir together almond meal, arrowroot powder, brown sugar, and salt. 3. 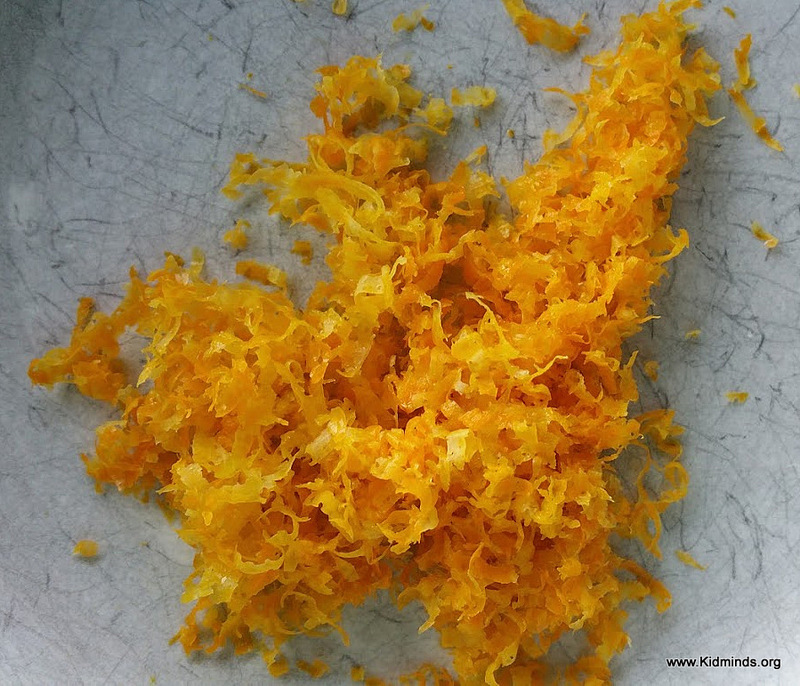 Using two knives or a pastry cutter cut the butter into the dry ingredients until reduced to pea-sized pieces. 4. Stir in an egg. 5. 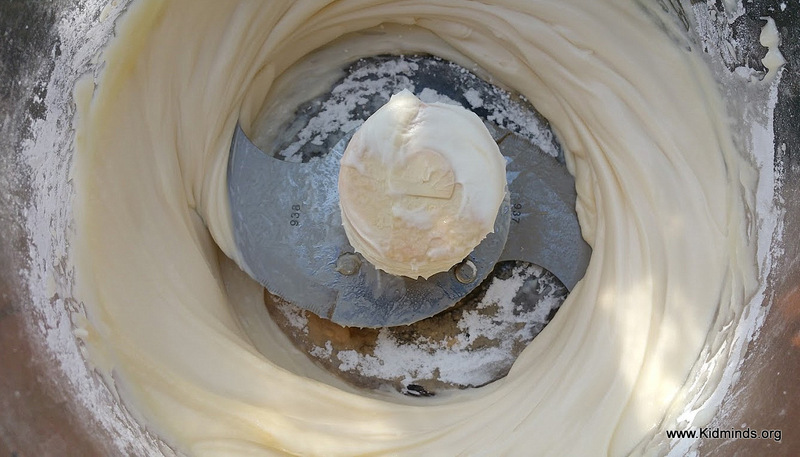 Using a spoon or clean hands press the mixture into a 9-inch springform pan (much preferred) or regular 9-inch pie pan. Note: I bake my pies in a toaster oven because it’s just so much better for a pie and for my air conditioner bill. You might have to adjust cooking time, if you are using a conventional oven. The best way to check for readiness is to touch the surface with an index finger. If the indentation disappear after a few seconds, it’s ready. It’s ok if moisture forms in the indentation (it’s just butter) as long as the surface bounces right up. 3. Halve each peach, remove pit and cut into slices. 4. 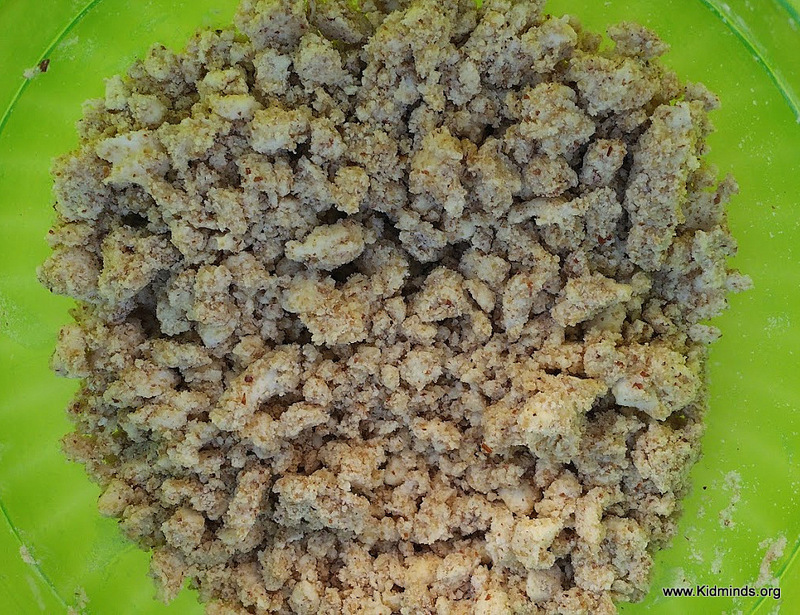 Add 3/4 cup honey, flour, and lemon zest to a saucepan and heat it up on low. 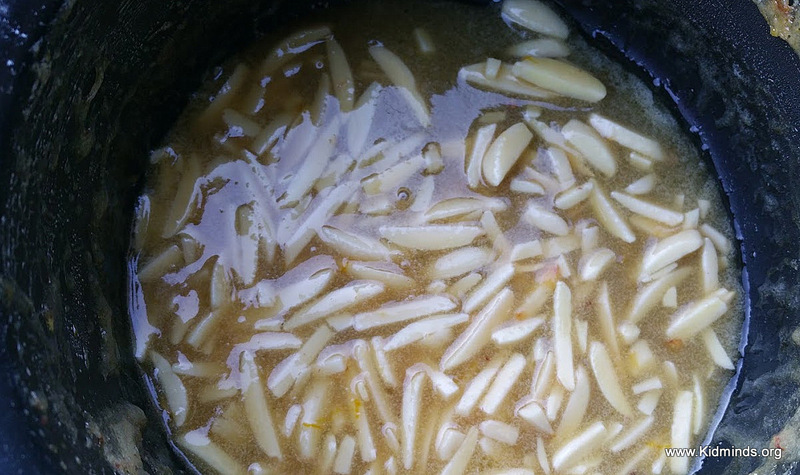 Stir it for 2-3 minutes until honey melts. 5. Now we need to drench peaches with this honey solution. I like to add small batches of peaches to the saucepan gently turning them with spatula until they all look shiny. Then I pick them up one by one with my fingers and arrange them on top of the crust. 6. Keep adding more peaches until you literally can’t squeeze any more slices in. 7. 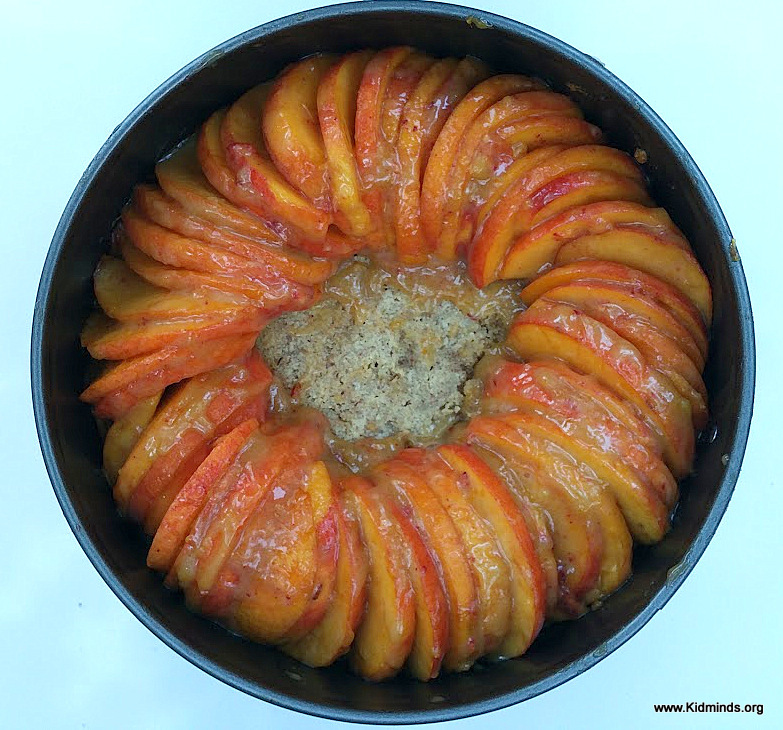 Add some peach slices to the center in any shape you desire. I was going for a rose here. 8. 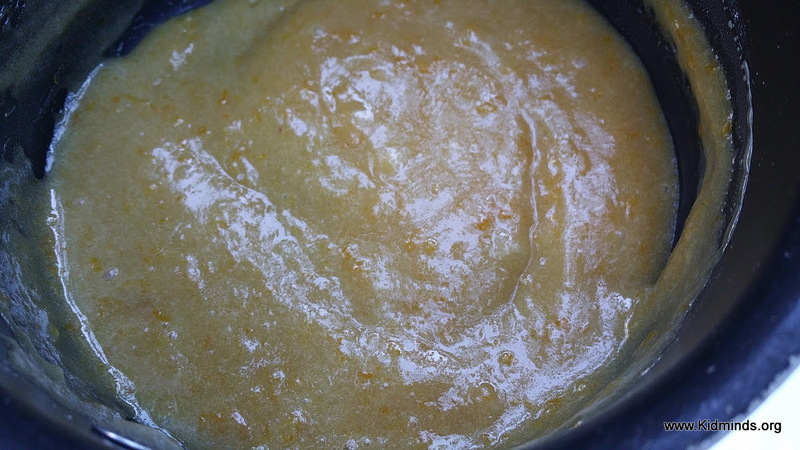 Now use the same saucepan where you had honey mixture to warm up 2 Tablespoons butter and additional 1/4 cup honey. It’s totally fine if there are some pieces of peaches stuck in there. 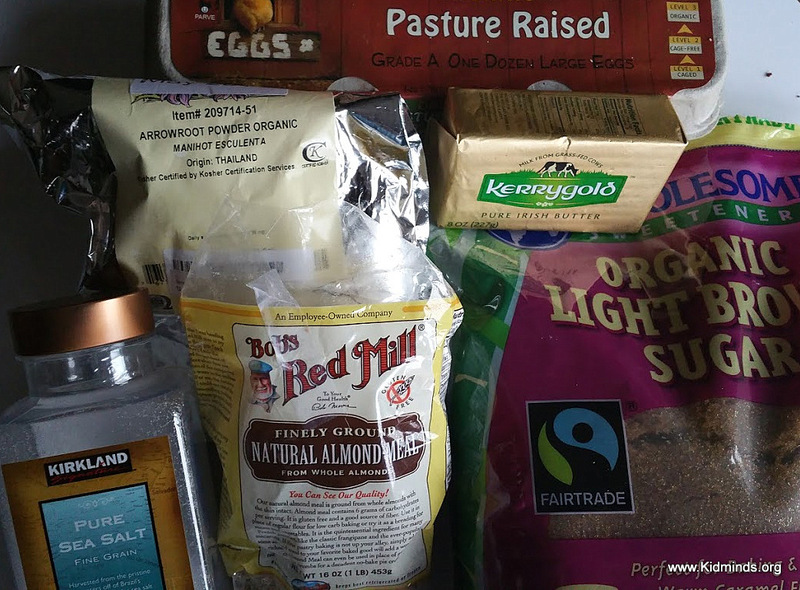 You can add almonds for protein and decoration. 9. 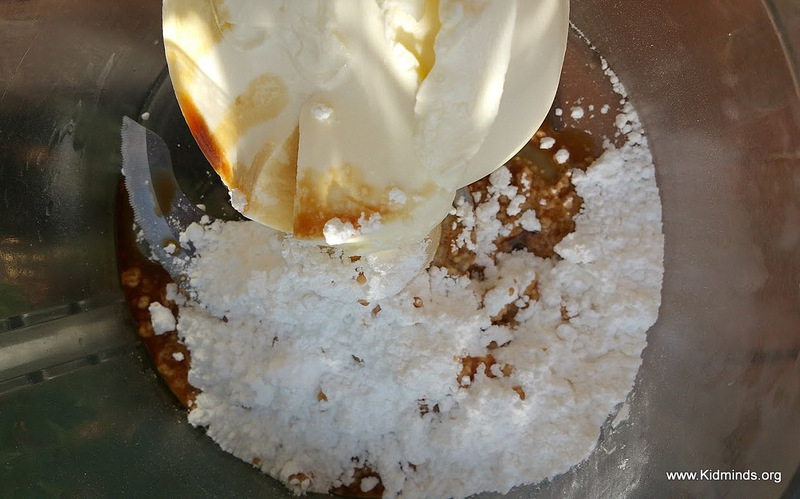 Drizzle this mixture over the pie. You don’t have to use all of it if it seems that the pot is filling up too much. It depends on how juicy your peaches are. Look at my pic below and note how it looks around the edges. If I had to eat just one thing for the rest of my life let it be mascarpone. Mascarpone is an Italian cream-cheese. I fell in love with it when we were spending a summer in Italy when I was a teenager and have been in love with it ever since. 1. 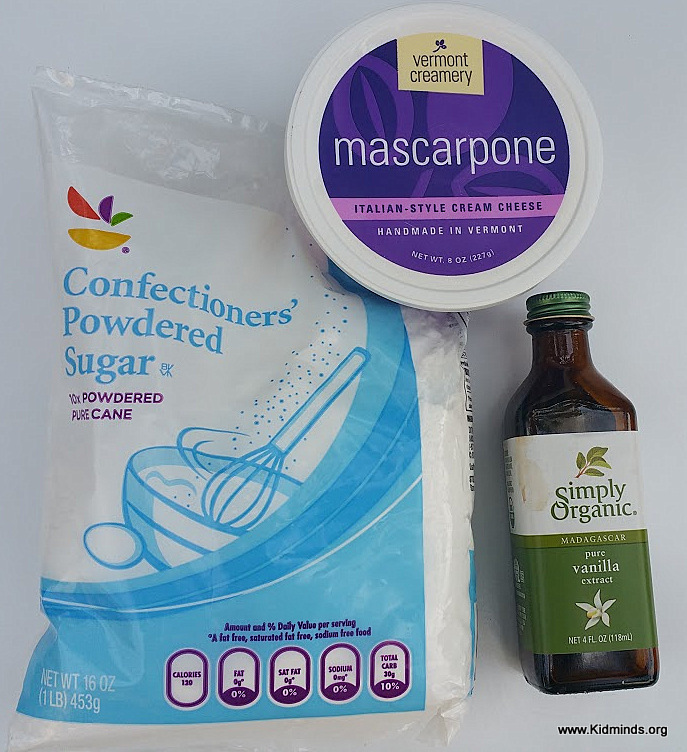 Throw mascarpone, sugar and vanilla in a food processor. 2. Run on high until peaks form. About 2 minutes. Serve immediately. Mascarpone topping tastes best fresh (not refrigerated). 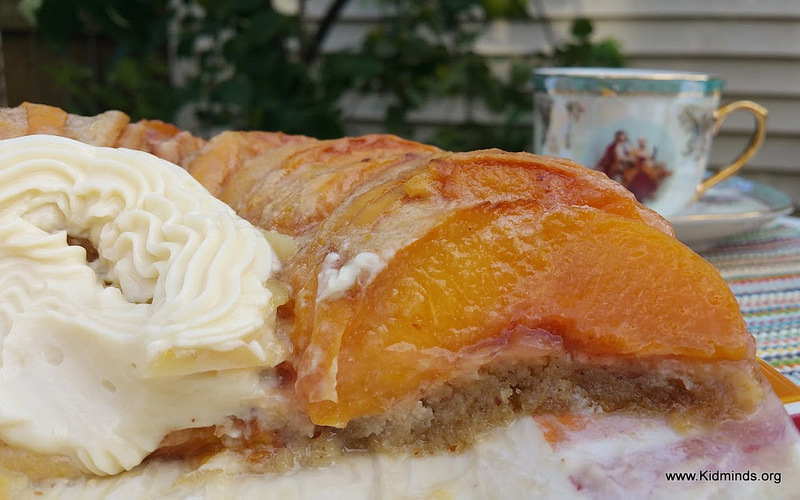 You can slice peach pie into wedges and serve each with a dollop of mascarpone topping. Or pipe a pile of topping into the center of the pie before slicing. 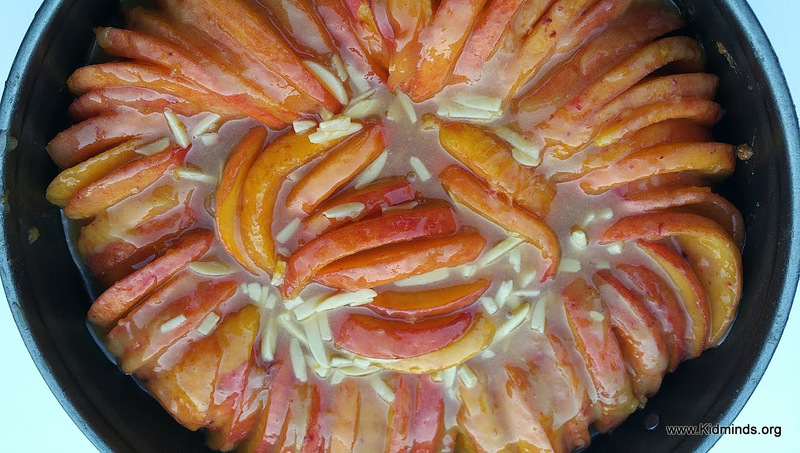 If you are bringing this peach pie to a potluck keep the pie in the pan or springform pan until ready to serve and transport mascarpone topping in a separate air-tight container. I had this bright idea of taking a photo of it with a topping in the center! 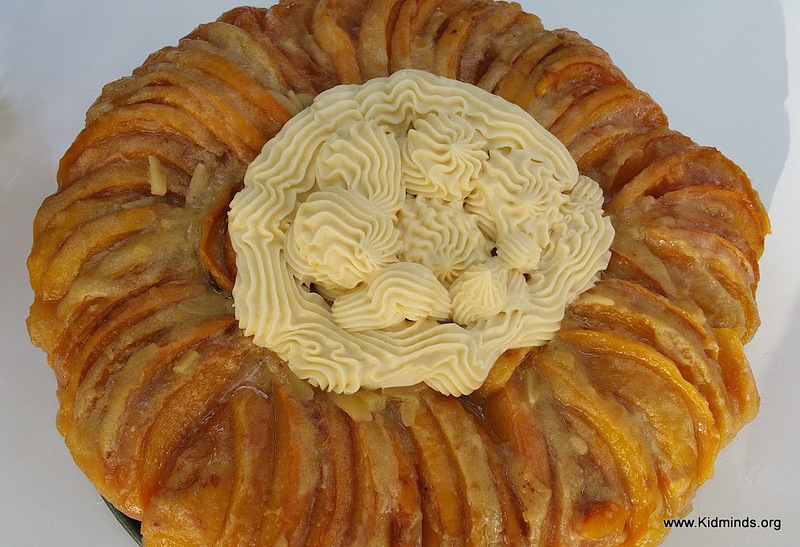 I don’t know why Peach Pie shouldn’t be more popular! It’s delicious! And healthy! 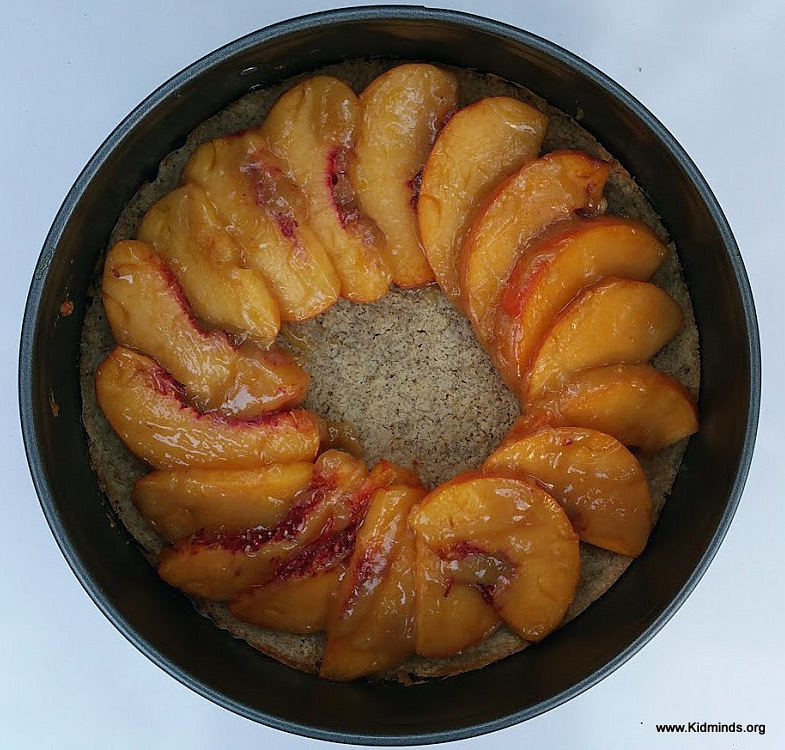 Follow Kid Minds’s board PERFECT PEACH on Pinterest. 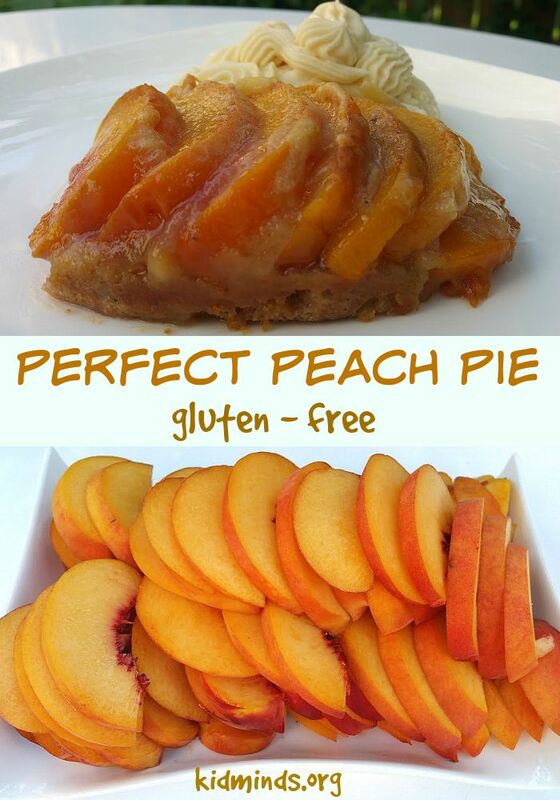 Hey Buddy!, I found this information for you: "Perfect Peach Pie (gluten-free)". 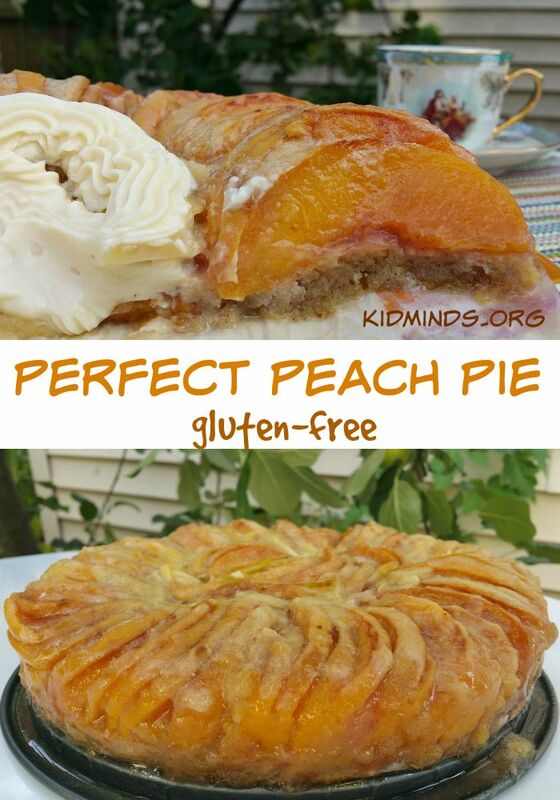 Here is the website link: http://kidminds.org/peach-pie-gluten-free/. Thank you.